The "Nauta Pharmacochemistry Award for Medicinal Chemistry and Chemical Biology" was established to honour the memory of Prof. Dr. W. Th. Nauta, whose activities have been very important for the advancement of Medicinal Chemistry in general, and the development of international organisational structures for this discipline. 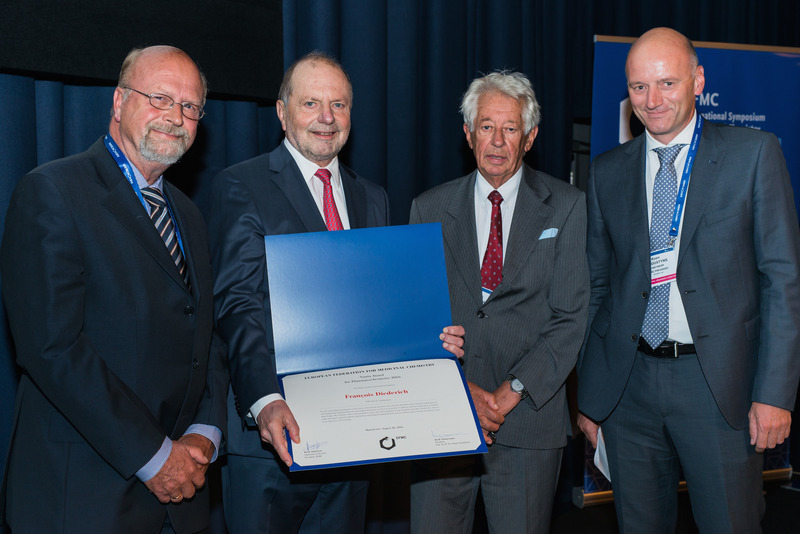 The Nauta Award will acknowledge outstanding results of scientific research in the field of Medicinal Chemistry obtained by scientists without restriction regarding nationality. The award is given biennially and consists of a diploma, € 7.500 and an invitation to present a lecture at an EFMC-ISMC symposium. Previous recipients were: Prof. François Diederich in 2016, Dr Paul Leeson in 2014, Prof. Alexander Levitzki in 2012, Prof. Camille George Wermuth in 2010, Prof. Hugo Kubinyi in 2008, Prof. P. Porthogese in 2006, Prof. C.R. Ganellin in 2004, Prof. B. Testa in 2002, Prof. Dr. E. De Clercq in 2000, Prof. Dr. H. Timmerman in 1998, Prof. Dr. P. Krogsgaard-Larsen in 1996, Dr. M. Petitou in 1994 and Dr. A.E. Brändström in 1992. 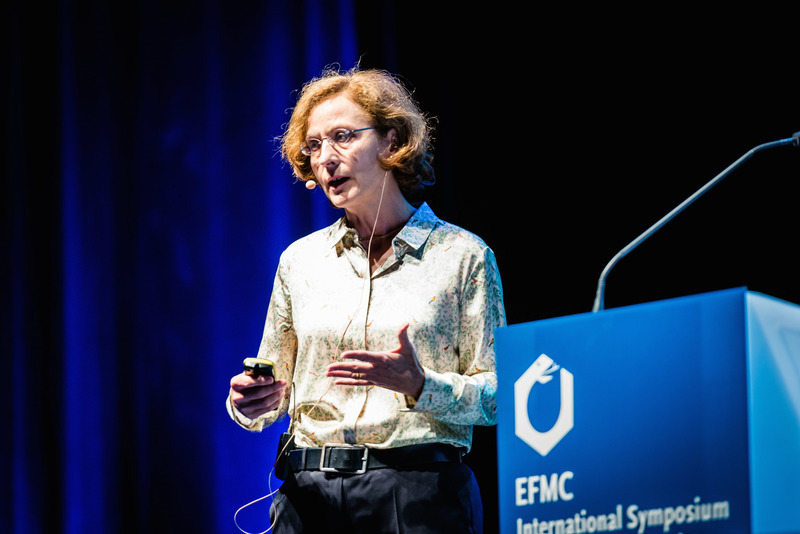 For her extensive contribution to the field of adenosine and purinergic receptors, from the design of novel ligands to the study of their therapeutic potential, and for her support of the European Medicinal Chemistry community. Dr. Müller is a highly cited scientist who has developed a number of tool compounds now used by many labs around the world. She has set up numerous international collaborations, and is a co-founder of the Pharmacenter in Bonn. Her noted contributions to the Medicinal Chemistry community include continued editorial and advisory duties, educational initiatives, and the organization of international conferences. For his outstanding contributions to the science of medicinal chemistry. Prof. François Diederich made essential contributions to the fundamental understanding of non-bonding interactions involved in molecular recognition and their application in modern drug design. His scientific work is documented in more than 700 publications and beautifully describes interactions such as sulfur-aromatics, cation-Pi, fluorine interactions and halogen bonding that are actively used by many scientists around the world in the discovery of novel drugs. Dr. Leeson is particularly recognized throughout the field of medicinal chemistry for his leading work on the importance of ‘drug-like’ physicochemical properties and their relationship to drug candidate survival in development. Paul has published extensively on this theme and his work has had a profound influence on the practices of medicinal chemists across the globe. Dr. Leeson’s career in the pharmaceutical industry has spanned over 35 years, where he has worked at Smith Kline and French Research Laboratories, Merck Sharp and Dohme, Wyeth (USA), and AstraZeneca. He has published more than 150 papers, patents and book chapters, and has led drug discovery efforts in the cardiovascular, neuroscience, inflammation and respiratory therapy areas. 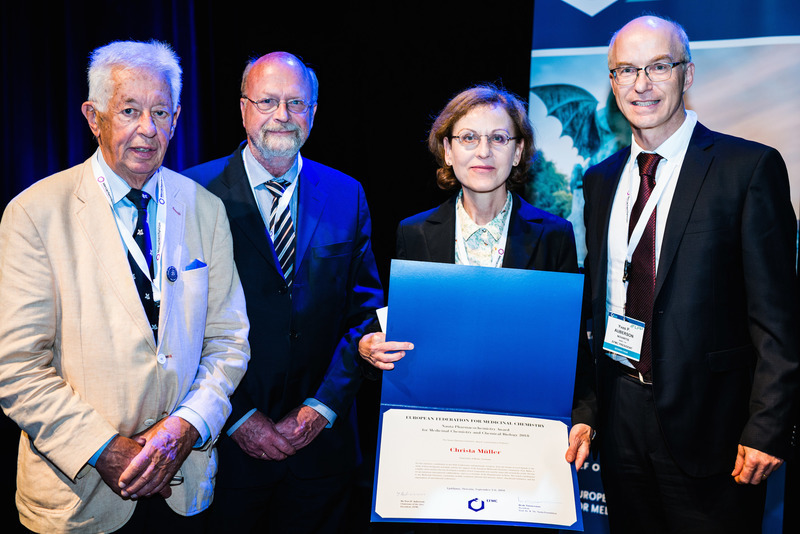 By awarding the NAUTA prize, the EFMC acknowledges and recognizes outstanding achievements in the advancement of Medicinal Chemistry and the development of international organizational structures in Medicinal Chemistry. Prof. Levitzki’s research focuses on cell signaling pathways with a special emphasis on the role of tyrosine kinases. He has pioneered the therapeutic concept that tyrosine kinase function can be selectively modulated by small molecule inhibitors, in face of worldwide skepticism whether sufficient selectivity can be obtained. His research opened new territory leading to a number of novel key therapeutic approaches with significant impact in medicinal chemistry, drug development, and advancement of human health care. Alexander Levitzki has been the early pioneer in the field of kinase inhibition and antitumor therapy with his work being documented in more than 350 publications. The development and launch of several Protein Tyrosine Kinase inhibition-based cancer therapies highlights the impact Alexander Levitzki’s creative and innovative research has had on medicinal chemistry and industrial R&D with successful drugs already on or coming to the market. This award recognises Professor Kubinyi’s contributions in the development, application and dissemination of the rational drug discovery in medicinal chemistry. 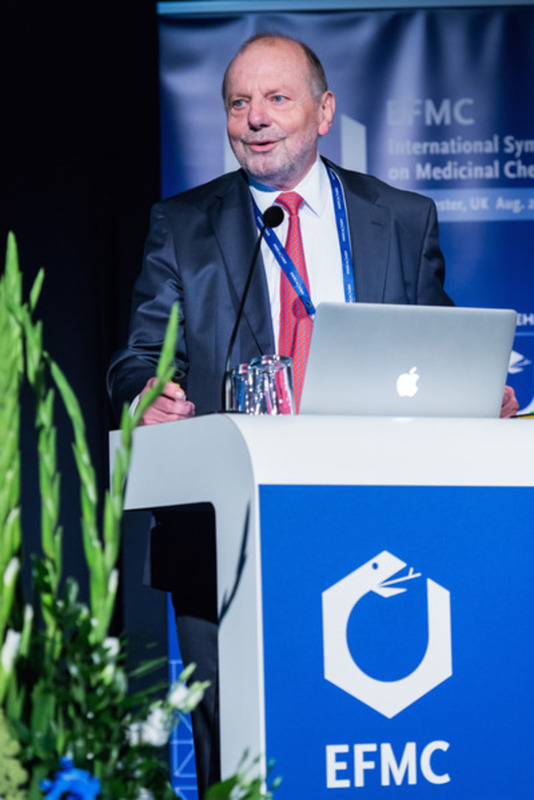 The results achieved by Prof. Kubinyi are documented in more then 100 publications and seven books that have been particularly instrumental in providing excellent handbooks for newcomers and experienced practitioners to the fields of medicinal chemistry. The development and launch into the market of Meproscillarin (CLIFT), a partially synthetic cardiac glycoside, provides a powerful example of the success achieved by Prof. Kubinyi as medicinal chemist. Professor Portoghese receives this award for his many contributions to the field of GPCR science which have led to greater understanding of the way in which these receptors function. He is also recognised for his huge contribution to the scientific community as editor-in-chief of The Journal of Medicinal Chemistry. On the basis of his impressive career in both industry, academia and scientific organisations, as well as for his efforts to internationally promote Medicinal Chemistry as a chemical discipline. His key contribution to the discovery of histamine antagonists as a novel class of antiulcer drugs with a major impact to health, was highly appreciated. The prize was given for the numerous and excellent contributions of the winner to the advancement of pharmaceutical sciences and medicinal chemistry in particular, both as teacher and as researcher. The jury especially mentioned his achievements in understanding the role of physiochemical properties in drug activity, more precisely in the disposition of medicines. Prof.Testa received his prize at the ISMC in Barcelona, Spain, September 2002.